Just when we thought 3CX version 16 couldn’t get any better, they blew our socks off with a ton of new, free features & updates, lower pricing, and new license sizes! Check out the Top 10 new features & updates below! Current Standard licensing users will be automatically upgraded to PRO license and features for FREE. Now all Standard users will enjoy PRO features including contact center, in-built failover, hot desking, voicemail-to-text transcription, remote user presence, and CRM integration including full Outlook 365 integration. 3CX just became even more competitive by lowering annual licensing prices across the board. 3CX has also added new license sizes including 24, 48, 96, & 192, so users don’t have to choose a higher license size unnecessarily. If that wasn’t enough to get you pumped, there are no more penalty fees when increasing to a higher license package. Take your customer service to the next level with 3CX’s FREE Live Chat & Talk plug-in. Simply download the complimentary WordPress plug-in or add code to your website to enable a live chat box with calling capabilities! Elevate your chat to a phone call without switching to the PSTN after chatting. Agents can answer chat messages right from their web client so there is no need to learn or use multiple systems. Live Chat & Talk was recently launched so expect more features to be added soon! Call recording is an essential feature for both quality assurance and compliance. 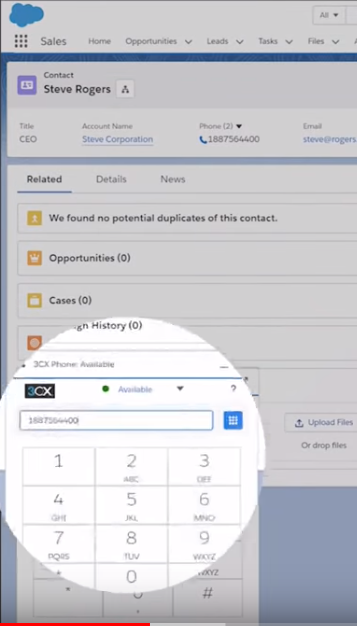 3CX v16 now stores all call data in a database to allow users to transcribe the first minute of each call recording for greater searchability. Now users can store recordings on a remote NAS or Google Drive, easing phone system management. Recordings will no longer inflate disk space usage which will speed up back-up and restore processes. 3CX’s Video and WebMeeting application now provides the ability to dial into the presentation with a phone number for even greater on-the-go flexibility. Additional updates include better reliability, increased scalability, and reduced bandwidth consumption. 3CX WebMeeting’s screen sharing feature no longer requires the Chrome extension. 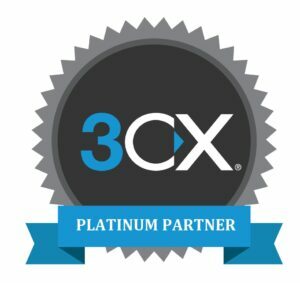 3CX Contact Center software improvements include new Skills-based Routing (available with the Enterprise edition license), redesigned Call Queuing system, Live Chat & Talk website plug-in, new Web Switchboard, improved Call Reporting, and enhanced Call Recording–including the ability to transcribe the first minute of each recorded call. 3CX v16 now uses the latest Office API which means you can use it with any Office 365 subscription starting with the low-cost business essentials package. Users are synced automatically so if you add or delete users on 365, it will reflect that change on 3CX and contacts are synced for all users without having to configure an impersonation account. Lastly, Calendar Sync changes the presence status of users automatically based on a user’s Outlook calendar. 3CX Corporate Chat functionality has been upgraded so it’s on par with ‘What’s App’– the most popular instant messaging app service in the world. 3CX Chat now includes file sharing, emojis/emoticons, chat reports and the ability to transfer and archive chats. Top CRM systems include an in-built dial pad which integrates 3CX outbound calling into the CRM interface. Calls are logged automatically and it does not require users to switch applications. The feature will be delivered in update 1 initially for Salesforce, followed by Zoho, Freshdesk, and other popular CRM systems. As hackers become more sophisticated, so does 3CX security. 3CX’s new Global Protection System automatically populates your blacklist with known hacker IDs discovered by other 3CX systems worldwide. All 3CX components and license modules have been updated with the latest version and Admins can lock down their management console by IP. This entry was posted on Thursday, April 4th, 2019 at 10:16 am. Both comments and pings are currently closed.